March in China sees the first efforts of spring trying to break out of winter hibernation. Following the chilly months of winter, the month is a fairly comfortable time to be outside for several hours at a time to explore activities and tourist sites if dressed appropriately. Following the big Chinese New Year holidays and the start of short spring holidays such as Qing Ming, March doesn't have any public holidays so for domestic tourists, it's not a big time to travel. For international tourists, March is an ideal time to visit as the lull in local travelers will allow for fewer crowds at the major tourist destinations like The Great Wall of China. The weather across the regions in China can vary wildly due to the massive size of the country. In March, Northern China finally starts to warm up with an average 11-degree Fahrenheit increase from February, while Central China is still going to feel chilly and very damp. Expect a lot more rain days in both central and southern China. In the south, warmer weather will feel lovely and visitors will be comfortable sightseeing in the cool spring temperatures. 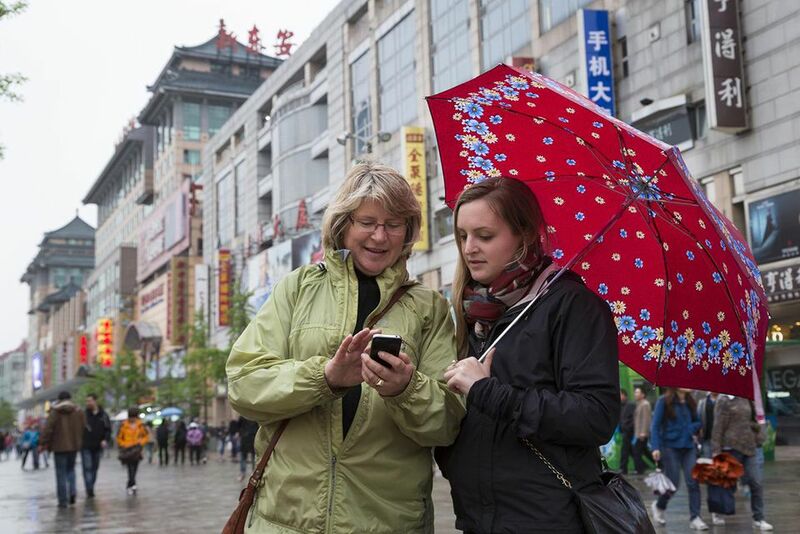 Beijing: average daytime temp is 51F (11C) and average number of rainy days is 4. Shanghai: average daytime temp is 55F (13C) and average number of rainy days is 13. Guangzhou: average daytime temp is 71F (21C) and average number of rainy days is 14. Guilin: average daytime temp is 62F (17 C) and average number of rainy days is 19. You'll still need plenty of layers for China in March when packing for the trip — most importantly, don't forget your rain boots. North: it will feel a lot warmer during the day but the average is still below-freezing at night. Bring a heavy base layer, fleece, and a wind-proof or down jacket. Central: the weather's warming up but it still feels chilly during the day because of the damp. A heavy base layer (e.g. jeans, boots, and sweaters) along with a rain/wind-proof jacket will be enough. South: it will be warm during the day and cool at night. You'll be able to wear shorts on some days but it's still advisable to bring something warmer. Rain-wear is essential: half the month can see rain. As the sun begins to make a more regular appearance and the temperature creeps higher, there are several cultural and fun experiences to attend during the month. Longqing Gorge Ice and Snow Festival: Enormous ice blocks are transformed into visual works of art during the Festival. Usually running from the end of January into early March, the city hosts thousands of people that come to view the sculptures, eat frozen treats, and take part in activities like ice slides. Shanghai Peach Blossom Festival: Located in the Nanhui District, the festival has been celebrating the peach since 1991. Visitors will find food, music, and decorated orchards all honoring the fuzzy fruit. Women's Day: On the 8th of March, the country stops to appreciate women in a day that is a meld of Valentine's Day meets Mother's Day. Typically, the men in China will provide gifts or flowers to the ladies in their life. March is a quiet time for domestic travelers so that makes it pretty convenient for sightseeing and visiting the major attractions as they won't be as crowded as they are during peak domestic tourist periods. However, the rain in central and south China can make sightseeing difficult and dreary at times. This might make you regret your decision to spend a week touring around Guilin. Try to be flexible in your travel. Changing your itinerary, especially changing your domestic airline tickets, is actually pretty reasonable. If you find out where you're going is going to be drenched in heavy rainfall for the entire time of your visit, see if you can make a change to your itinerary.